Getting the good old-fashioned smiley emoji is an easy way to add fun to your messaging, and that’s the whole point of emoji, after all! 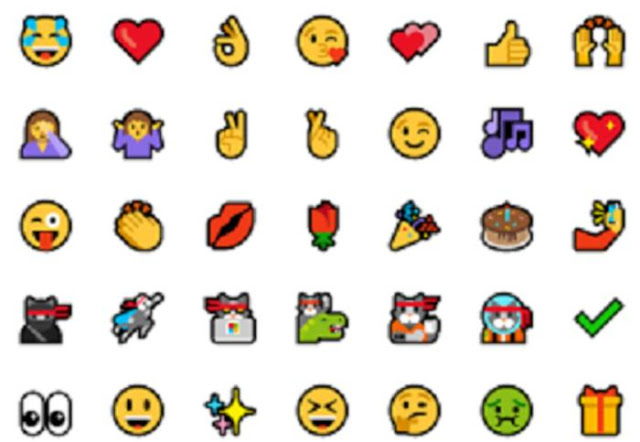 While there inroad into mobile messaging via apps is epochal, desktop application have been wanting; but now, with Windows 10 and the Fall Creators Update, a new emoji keyboard will make adding emoji pretty dead easy. As annoying as the present state of emoji for Windows 10 is, Microsoft has never really gotten it off the ground, even with the On-Screen Keyboard, which actually is an accessibility app that you can launch whenever you boot Windows. While the On-Screen keyboard isn't an emoji app, trying to type a smiley simply types in text: a colon and a closed parentheses symbol. Albeit, the fact that Microsoft can allow emoji in some on-screen keyboard, but certainly not available for all the on-screen keyboards is rather disheartening. Microsoft with the Fall Creators Update has sort to resolve the issue, and once the Update drops, users can launch the emoji keyboard within Windows 10: either using the WIN + . (the period punctuation mark) key, or the WIN + ; (semi-colon) key. It allows you to navigate the various “tabs” or categories of emoji via the Tab key, and touch or mouse to the one you’d like, or by using the arrow keys. Albeit, you can only enter one emoji at a time, after which the keyboard disappears. And the emoji keyboard isn’t a draggable window, either. Developers are probably already coding in solutions to fix the issue regards any downside to Microsoft’s emoji window. But you'll have to wait till October 17, when the new emoji keyboard will drop with the Fall Creators Update.